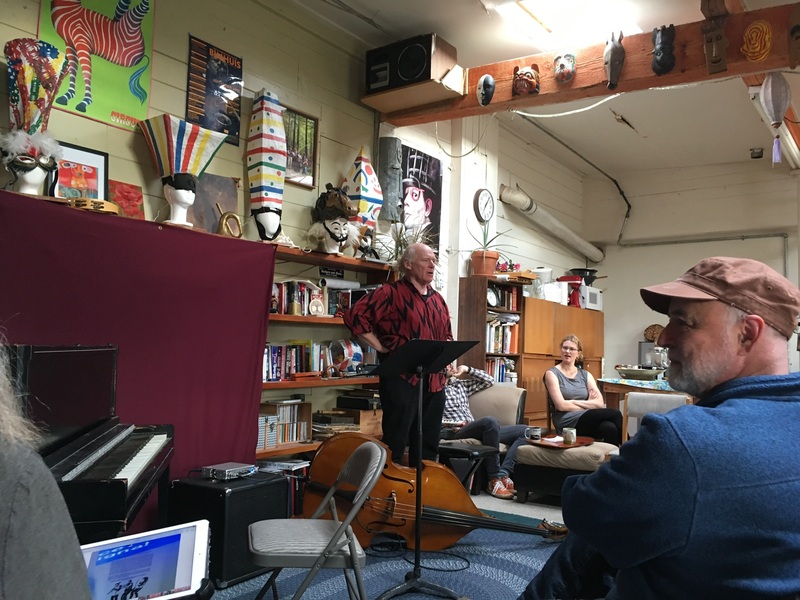 I’d like to let the photos and images do the talking in this post because it was an intricate confluence of chances, that evening of May 21, 2018. 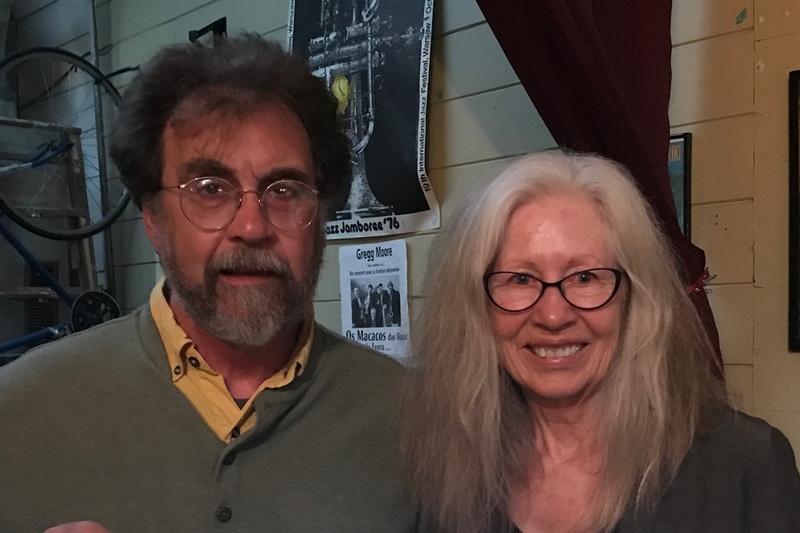 A few years before that at my first Mobile Digital Arts and Creativity Summit in Palo Alto, CA I met Claire Iris Schencke, digital artist extraordinaire. Check her out here. Claire lives in Arcata, CA, and so since Ann and I were planning to be in the neighborhood on our North Coast road trip, I let Claire know. 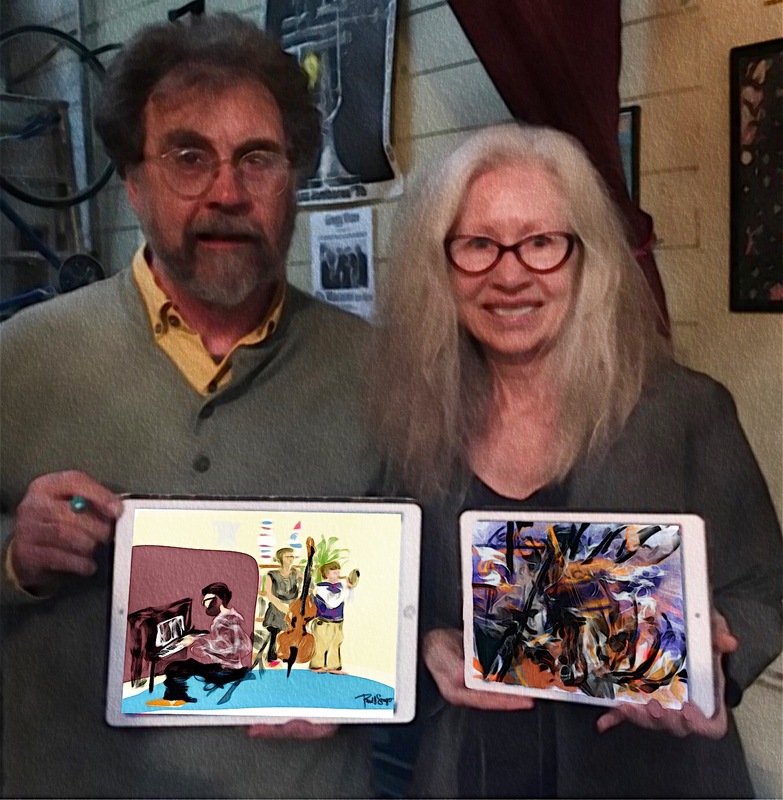 As it turned out, Claire, who routinely does live iPad drawings at live music events, invited us to such an event at the unquestionably funky home of Gregg Moore, whose “crib” is well known for exquisite live music. Check this out for yourself, please. 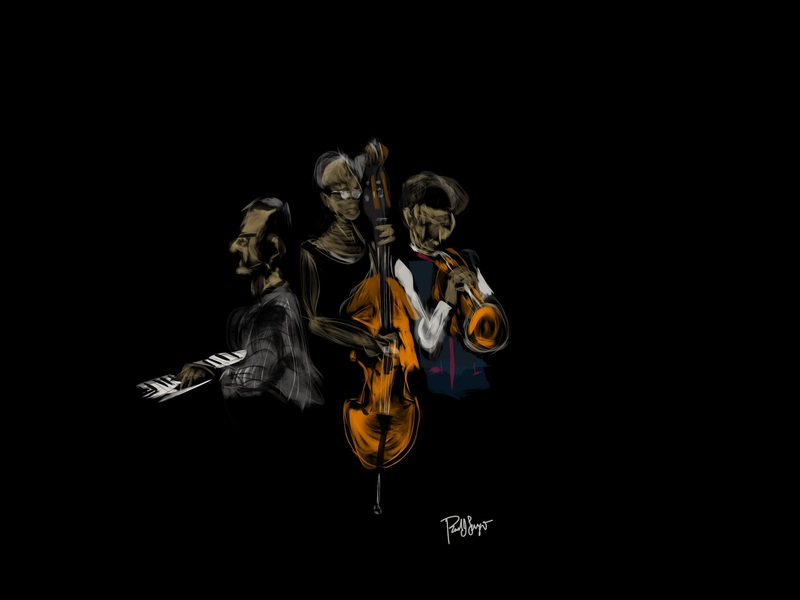 That evening we were treated to the Oskar Stenmark Trio. Click here to learn more about and listen to Flugelhornist/player/composer/arranger/educator – Oskar…from Sweden. 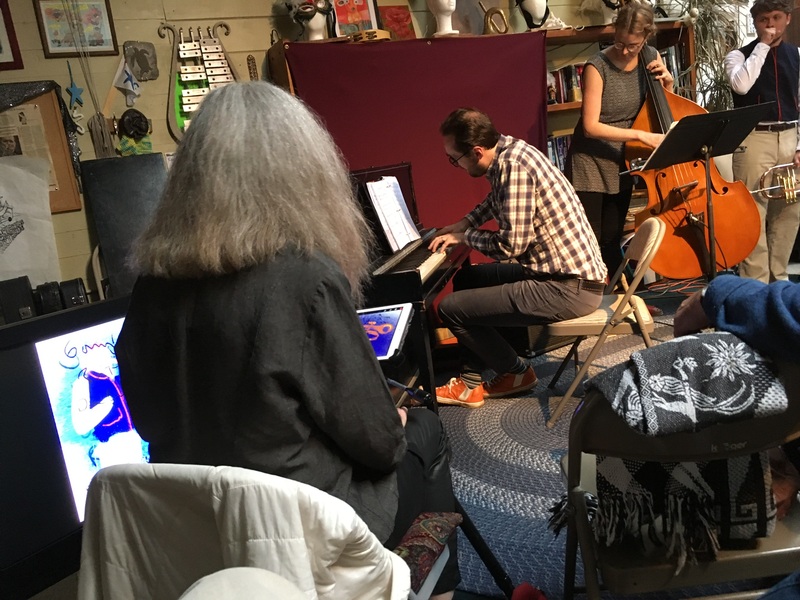 Notice also how Claire is situated close by with her iPad connected to a large monitor so that she can render a simultaneous, colorful, digital interpretation of the musical experience for others inclined to enhance their own experience. 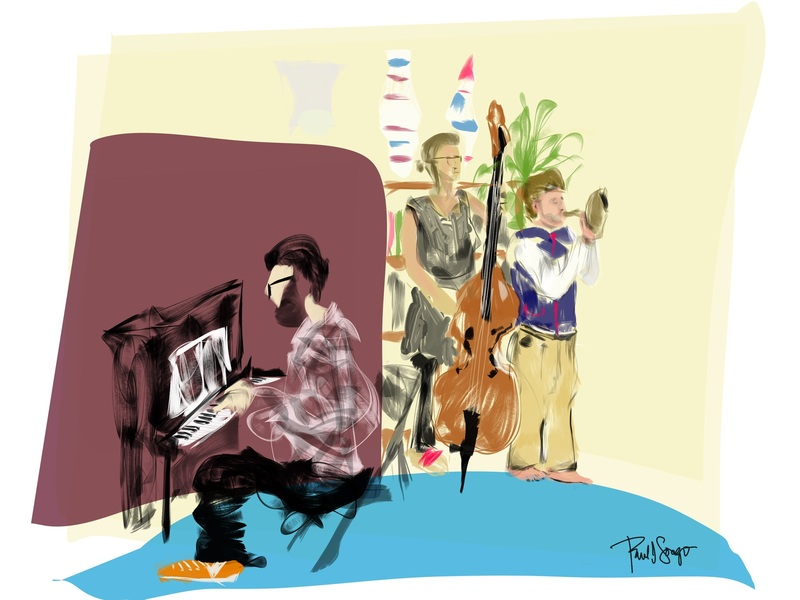 Claire live iPad drawing; Ukrainian American pianist Alex Pryrodny; Finnish bass player, Kaisa Mäensivu; and, of course, Swedish flugelhorn player, Oskar Stenmark, momentarily playing the airhorn. I was invited to open my iPad Pro, and these are the three – quick – digital renderings that I contributed to the evening. I’ll let the images and that final photo close out this post. Let me simply add that this evening was a genuine and memorable treat! 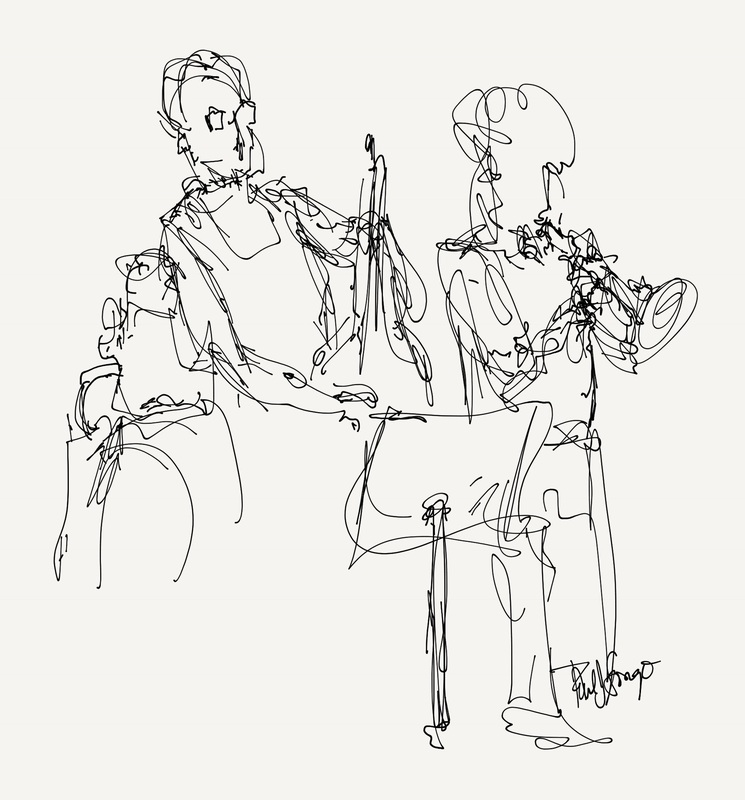 Sketch Club app; incidentally, Oskar ended this particular piece with an actual animal horn, which, I hope, explains why he isn’t holding his famous flugelhorn.